Welcome to Chaos Dwarfs Online, your online Chaos Dwarf community! Mission Statement: So long as the popularity of Warhammer continues, a source is needed for the Chaos Dwarf army to keep pace. Chaos Dwarfs Online provides a community with a forum for members to learn about, inform others about, contribute to, and evolve the Chaos Dwarf army in a welcoming and open minded environment. Chaos Dwarf generals, old and new, can unite under a common banner that Chaos Dwarfs Online is happy to provide. Disclaimer: Chaos Dwarfs Online is a non-profit website that seeks to serve members of the Warhammer community. All content found within Chaos Dwarfs Online is completely unofficial and is in no way endorsed by Games Workshop. Chaos Dwarfs Online is run by Warhammer fans who love the game of Warhammer. All discussions of Games Workshop's intellectual property are intended to constitute fair use practises. A shorthand overview of Chaos Dwarf concept developments in official miniatures. Gargolock has shared some Chaos Dwarf news on the video game front with us. No, not Total War: Warhammer III yet! 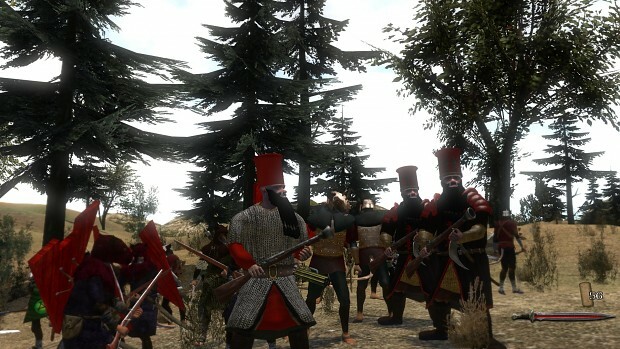 Mount and Blade is an action RPG game with tactical elements and combat in which you can conquer the world for yourself or another pre-existing faction. For the sake of map size issues, Chaos Dwarfs have been placed in western Norsca and Albion instead of expanding the world to include the Dark Lands, but that obviously just means we've conquered these pesky Northmen and built mighty ziggurats in the cold and wet provinces up north! It seems we're going places. All voting for the Community Awards for 2018 will take place via this thread. Past years we have always opened a new subforum with voting polls for the different categories, but Admiral do not have the knowhow to make this happen, so we will instead vote by PM just like we do in our regular contest. We are, by the way, much in need of new, active Staff members with some grasp of things technical: Volunteers wanted! Unlike past years we've also dispensed with the nominations step and the Staff has accepted on behalf of the nominees in order to speed up the process. If this presents a problem we will address it at that point. Tuesday 11:59 PM the 9th of April 2019 CET. Send a PM to the Staff account (a special account all Staff members can access), with 1 vote/name for each category, or at least those categories you wish to vote for. Get your votes in to recognize our outstanding members who have been nominated. Best Hobbyist - A nominee for this award has contributed an amazing model, or models that exemplifies what a Chaos Dwarf army should look like: flawless execution of conversion and painting while adhering to the Chaos Dwarf mythos.